"Vaccinated: One Man's Quest to Defeat the World's Deadliest Diseases"
Maurice Hilleman is the father of modern vaccines. Chief among his accomplishments are nine vaccines that practically every child gets, rendering formerly deadly diseases—including mumps, rubella, and measles—nearly forgotten. Author Paul A. Offit's rich and lively narrative details Hilleman's research and experiences as the basis for a larger exploration of the development of vaccines, covering two hundred years of medical history and traveling across the globe in the process. The history of vaccines necessarily brings with it a cautionary message, as they have come under assault from those insisting they do more harm than good. Paul Offit clearly and compellingly rebuts these arguments, and, by demonstrating how much the work of Hilleman and others has gained for humanity, shows us how much we have to lose. Andrew W. Artenstein "Vaccines: A Biography"
The History and Biography of Vaccines against Infectious Diseases is a multi-authored book, written for an academic audience but accessible to a general readership as well. The book examines the human stories that underlie the development of vaccines against infectious diseases. Each chapter traces the lineage of a vaccine by examining the people behind the scientific hypotheses and discoveries that led to vaccine breakthroughs. These stories are firmly anchored in their historical context, as the "biography" of a vaccine generally has its origins in a medical problem rooted within a social context that subsequently engages scientists and enlists others in the eventual solution. A prominent theme woven throughout the book is the interdependence of incremental scientific advances and investigators on one another and how such advances ultimately led to practical, preventive solutions to major public health problems in society. Additionally, the human aspect of various pivotal events in the histories of specific vaccines are illustrated—this includes scientific and political hurdles and details of clinical trial controversies. In this fashion the work interweaves scientific themes, personal stories of those involved, and the sociohistorical context in which they worked in a manner that illustrates their inter-relatedness and provides the reader with exciting accounts of these advances. The history of vaccination parallels the history of human scientific endeavor and illustrates a number of important precepts common to all scientific inquiry: major advances generally stem from incremental progress that itself derives from the accumulation of ordered, experimental observations synthesized from a variety of fields; landmark discoveries generally do not occur in a vacuum but are instead based on expanding pre-existing scientific thought; advances in technology inherently drive advances in science, and both are frequently products of specific unmet needs. Perhaps most importantly, however, is that the history of vaccines and vaccination really represents the individual and collective stories of inquisitive minds, thought leaders, risk-takers and those that stood "on the shoulders of giants" to achieve success in their field. "Mucosal Vaccines: Modern Concepts, Strategies, and Challenges (Current Topics in Microbiology and Immunology)"
This volume is focused on the development of vaccines which generate immune effectors capable of blocking mucosal entry or peripheral pathogen spread. A critical first step in the design of mucosal vaccines is the selection of administration route. Not all mucosal immunization routes are created equally when it comes to eliciting immune responses in multiple body compartments. This subject and situations when a mucosal route may not be required for vaccine delivery are reviewed here with an emphasis on the sublingual immunization route, which may offer a safer alternative to the nasal route for induction of broadly disseminated immune responses. External host defenses that inhibit entry of microorganisms at mucosal surfaces also pose obstacles to the efficient internalization of mucosally-applied vaccines. Transcutaneous immunization with appropriate adjuvants and permeation enhancers can induce mucosal immune responses and may be advantageous for bypassing these luminal barriers. Other chapters describe strategies for enhancing uptake of mucosal vaccines, for instance through targeted delivery to antigen-sampling M cells, construction of virus-like particles which mimic natural pathogens, addition of mucoadhesives or formulation as nanoparticles. Topics include edible vaccines as well as plant-based production of subunit or particulate vaccines that could be administered by any route. Dry powder vaccines that could be insufflated or directly applied to mucosal surfaces may be particularly ideal for mass vaccination in developing countries. The manufacture, stability and efficacy of powder formulations is comprehensively reviewed. We conclude with chapters on two of the greatest challenges facing mucosal vaccine development: human immunodeficiency virus and bioterrorist agents. This monograph highlights progress and information that should prove invaluable for the development of contemporary vaccines that prevent infection by these and other mucosal pathogens. "Vaccines: What You Should Know, Third EditionYou "
Do you wonder whether vaccines are safe and whether they are all really necessary? This completely revised and updated edition of the classic Vaccines: What You Should Know helps you sort through the latest information about vaccines in order to determine what is right for your family. Coauthored by Paul Offit, a member of the CDC advisory committee that determines which vaccines are recommended for use in the United States, this guide tells you what vaccines are made of and clearly explains how they are made, how they work, and the risks associated with them. This updated edition includes recommendations for the smallpox vaccine, the latest information on vaccines for travelers, and the latest on the progress of combination vaccines. 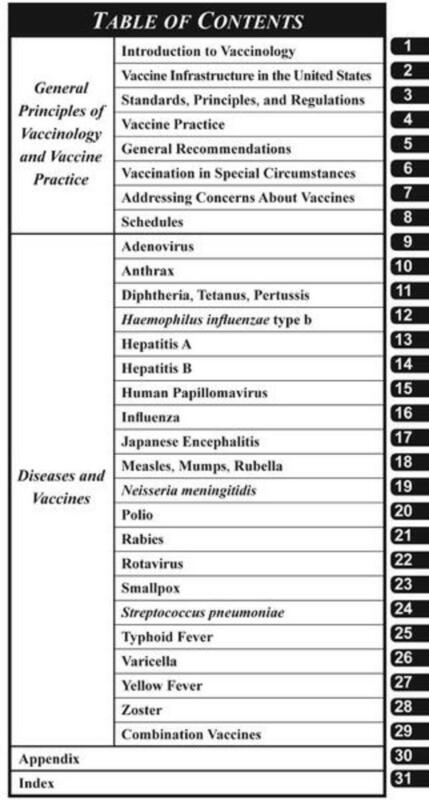 Expanded information on vaccine safety includes discussion of vaccines and autism, mercury in vaccines, and the ability of children to tolerate numerous vaccines at once. Stanley Williamson’s meticulously researched history of the British government’s smallpox vaccination program begins with Edward Jenner’s development of the vaccine at the end of the eighteenth century, charts the astonishing speed at which it became compulsory for children, and documents the decades of resistance that resulted in its repeal in 1946. Along the way Williamson examines the social, political, and ethical motivations of both factions. The power to make medical choices, including those regarding vaccination, remains a hotly contested issue today, making The Vaccination Controversy a timely contribution to our knowledge of medical history. This volume of Current Topics in Microbiology and Immunology covers diverse topics related to intradermal immunization. The chapters highlight the effectiveness of intradermal immunization in experimental animal models or in clinical practice, all supporting the view that intradermal immunization is at least as good as other immunization routes. Keeping in mind that current vaccines are not specially designed for intradermal immunization, but show comparable efficiency even at reduced dosages, this underlines the great potential for the skin as a vaccination site. Hopefully, the overview in this volume will encourage vaccine designers to focus on this promising immunization route, and in addition, to inspire them to develop vaccines that are especially optimized for intradermal immunization. Apply the latest vaccination knowledge with a reference that Bill Gates calls "an indispensable guide to the enhancement of the well-being of our world." Inside Vaccines, you'll find comprehensive and current coverage of every aspect of vaccination, from the development of each vaccine to its use in reducing disease. This medical reference book offers the expert information you need to apply the very latest techniques and information in your practice! Gain a complete understanding of each disease, including clinical characteristics, microbiology, pathogenesis, diagnosis, and treatment, as well as epidemiology and public health and regulatory issues. Update your knowledge of both existing vaccines and vaccines currently in the research and development stage. Get complete answers on each vaccine, including its stability, immunogenicity, efficacy, duration of immunity, adverse events, indications, contraindications, precautions, administration with other vaccines, and disease-control strategies. Analyze the cost-benefit and cost-effectiveness of different vaccine options. Clearly visualize concepts and objective data through an abundance of tables and figures. CDC выпустил в феврале 2013 года публикацию об охвате прививками (кроме гриппа) взрослого населения США. Paul A. Offit, "Do You Believe in Magic? : The Sense and Nonsense of Alternative Medicine"
Представленные на сайте документы разработаны в помощь работникам здравоохранения в их ежедневной деятельности, связанной с иммунизацией. Некоторые из этих ресурсов предназначены для информирования и повышения квалификации работников здравоохранения, тогда как другие рассчитаны на пациентов и содержат важную информацию об иммунизации и заболеваниях, предупреждаемых с помощью вакцин. ЕРБ ВОЗ планирует сделать все эти ресурсы доступными на английском, немецком, русском и французском языках; переводы будут публиковаться по мере готовности. Новые документы будут добавляться по мере завершения их составления. The objective of this chapter is to extract from the complex and rapidly evolving field of immunology the main concepts that are useful to better address the important questions related to the immunological safety of vaccines. W. John W. Morrow, "Vaccinology: Principles and Practice"
Covering all aspects of vaccine research and development in one volume, this authoritative resource takes a comprehensive and systematic approach to the science of vaccinology focusing not only on basic science, but also on the many stages required to commercialize and navigate the regulatory requirements for human application, both in the United States and Europe. Vaccinology: Principles and Practice provides an invaluable resource for clinicians, scientific and medical researchers, lecturers and postdoctoral fellows working in the field of vaccines.